Stone fountains were used for decorating gardens, yards and patios for centuries. One of the most comon materials for carving the fountains is a volcaninc rock called cantera. The stone is relatively soft and easty to work with. 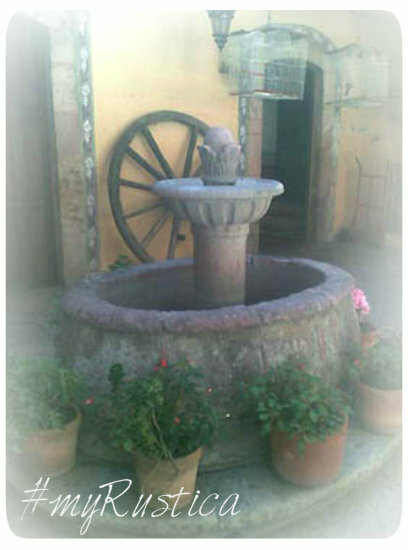 There are two types of cantera fountains available at Rustica House. Free standing with a round basian and wall mount. Both styles can be decorated with Mexican tiles giving them more Spanish colonial look. We offer our cantera stone fountains in nine different rock colors. Avrage delviery time frame is five weeks. All cantera fountains are handmade to order style, color and size.